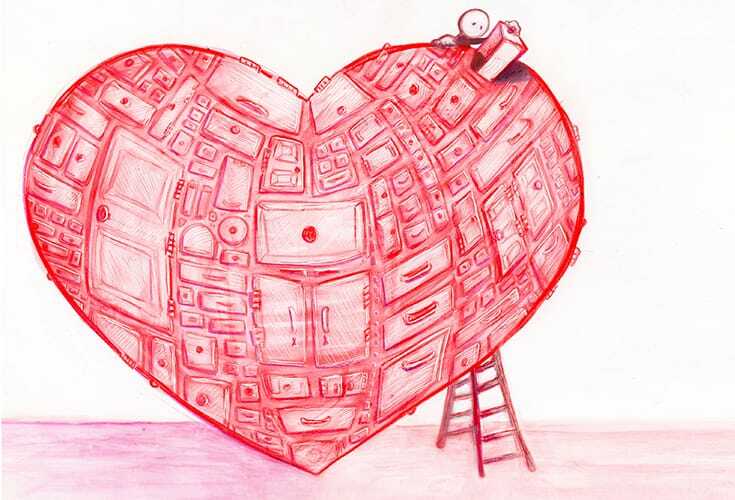 For many of us, opening our hearts to ourselves may be the hardest part of the path. John Welwood on how and why meditation helped him do it — unconditionally. Freud once admitted in a letter to Jung that “psychoanalysis is essentially a cure through love.” Yet while many psychotherapists might privately agree that love has some kind of role in the healing process, the word “love” is curiously absent from most of the therapeutic literature. 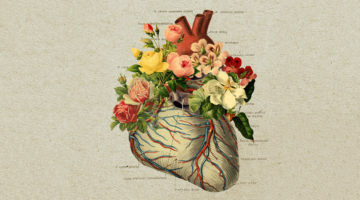 The same is true for the word “heart.” Not only is this term missing from the psychological literature, the tone of the literature itself also lacks heart. My interest in the place of heart in psychotherapy developed out of my experience with meditation. 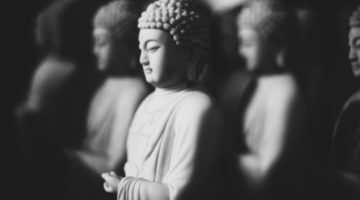 Although Western thought often defines mind in terms of reason, and heart in terms of feeling, in Buddhism heart and mind can both be referred to by the same term (chitta in Sanskrit). Indeed, when Tibetan Buddhists refer to mind, they often point to their chest. Mind in this sense is not thinking mind, but rather big mind—a direct knowing of reality that is basically open and friendly toward what is. Centuries of meditators have found this openness to be the central feature of human consciousness. Heart, then, is a direct presence that allows a complete attunement with reality. In this sense, it has nothing to do with sentimentality. Heart is the capacity to touch and be touched, to reach out and let in. Our language expresses this twofold activity of the heart, which is like a swinging door that opens in both directions. We say, “My heart went out to him,” or “I took her into my heart.” Like the physical organ with its systole and diastole, the heart-mind involves both receptive letting in, or letting be, and active going out to meet, or being-with. In their different ways, both psychological and spiritual work remove the barriers to these two movements of the heart, like oiling the door so that it can open freely in both directions. Since we are all embryonic buddhas, why would anyone want to hate themselves? Psychological work, when practiced in a larger spiritual context, can help people discover that it is possible to be unconditional with themselves—to welcome their experience and hold it with understanding and compassion, whether or not they like it at any given moment. What initially makes this possible is the therapist’s capacity to show unconditional warmth, concern and friendliness toward the client’s experience, no matter what the client is going through. Most people in our culture did not receive this kind of unconditional acceptance in their childhood, so they internalized the conditions their parents or society placed on them. Conditions like, “You are an acceptable human being only if you measure up to our standards.” Because of this they continue to place these same conditions on themselves, causing them to remain alienated from themselves. The Dalai Lama and many other Tibetan teachers have spoken of their great surprise and shock at discovering just how much self-hatred Westerners carry around inside them. Such an intense degree of self-blame is not found in traditional Buddhist cultures, where there is an understanding that the heart-mind, also known as buddhanature, is unconditionally open, compassionate, and wholesome. Since we are all embryonic buddhas, why would anyone want to hate themselves? Chogyam Trungpa described the essence of our nature in terms of basic goodness. In using this term, he did not mean that people are only morally good—which would be naive, considering all the evil that humans perpetrate in this world. Rather, basic goodness refers to our primordial nature, which is unconditionally wholesome because it is intrinsically attuned to reality. This primordial kind of goodness goes beyond conventional notions of good and bad. It lies much deeper than conditioned personality and behavior, which are always a mix of positive and negative tendencies. From this perspective, all the evil and destructive behavior that goes on in our world is the result of people failing to recognize the fundamental wholesomeness of their essential nature. While studying Rogerian therapy in graduate school, I used to be intrigued, intimidated and puzzled by Carl Rogers’ term “unconditional positive regard.” Although it sounded appealing as an ideal therapeutic stance, I found it hard to put into practice. First of all, there was no specific training for it. Since Western psychology had not provided me with any understanding of heart, or the intrinsic goodness underlying psychopathology, I was unclear just where unconditional positive regard should be directed. It was only in turning to the meditative traditions that I came to appreciate the unconditional goodness at the core of being human, and this in turn helped me understand the possibility of unconditional love and its role in the healing process. The Buddhist counterpart of unconditional positive regard is loving-kindness (maitri in Sanskrit, metta in Pali). Loving-kindness is unconditional friendliness—a quality of allowing and welcoming human beings and their experience. Yet before I could genuinely express this kind of acceptance toward others, I first had to discover what it meant for myself. Meditation is what allowed me to do this. Meditation cultivates unconditional friendliness through teaching you how to just be—without doing anything, without holding onto anything, and without trying to think good thoughts, get rid of bad thoughts, or achieve a pure state of mind. This is a radical practice. There is nothing else like it. Normally we do everything we can to avoid just being. When left alone with ourselves, without a project to occupy us, we become nervous. We start judging ourselves or thinking about what we should be doing or feeling. We start putting conditions on ourselves, trying to arrange our experience so that it measures up to our inner standards. Since this inner struggle is so painful, we are always looking for something to distract us from being with ourselves. In meditation practice, you work directly with your confused mind-states, without waging crusades against any aspect of your experience. You let all your tendencies arise, without trying to screen anything out, manipulate experience in any way, or measure up to any ideal standard. Allowing yourself the space to be as you are—letting whatever arises arise, without fixation on it, and coming back to simple presence—this is perhaps the most loving and compassionate way you can treat yourself. It helps you make friends with the whole range of your experience. As you simplify in this way, you start to feel your very presence as wholesome in and of itself. You don’t have to prove that you are good. You discover a self-existing sanity that lies deeper than all thought or feeling. You appreciate the beauty of just being awake, responsive, and open to life. Appreciating this basic, underlying sense of goodness is the birth of maitri—unconditional friendliness toward yourself. The discovery of basic goodness can be likened to clarifying muddy water—an ancient metaphor from the Taoist and Buddhist traditions. Water is naturally pure and clear, though its turbulence may stir up mud from below. Our awareness is like that, essentially clear and open, but muddied with the turbulence of conflicting thoughts and emotions. If we want to clarify the water, what else is there to do but let the water sit? Usually we want to put our hands in the water and do something with the dirt—struggle with it, try to change it, fix it, sanitize it—but this only stirs up more mud. “Maybe I can get rid of my sadness by thinking positive thoughts,” we say, but then the sadness sinks deeper and hardens into depression. “Maybe I’ll get my anger out, show people how I feel.” But this only spreads the dirt around. The water of awareness regains its clarity through seeing the muddiness for what it is—recognizing the turbulence of thought and feeling as noise or static, rather than as who we really are. When we stop reacting to it, which only stirs it up all the more, the mud can settle. Unconditional love is not a sentiment, but a willingness to be open. It is not a love of personality, but the love of being, grounded in the recognition of the unconditional goodness of the human heart. This core discovery enabled me to extend this same kind of unconditional friendliness toward my clients. When I first started practicing therapy and found myself disliking certain clients or certain things about them, I felt guilty or hypocritical. Eventually I came to understand this in a new way. Unconditional love or lovingkindness did not mean that I always had to like my clients, any more than I liked all the twists and turns of my own scheming mind. Rather, it meant providing an accommodating space in which their knots could begin to unravel. It was a great relief to realize that I did not have to unconditionally love or accept that which is conditioned—another’s personality. Rather, unconditional friendliness is a natural response to that which is itself unconditional—the basic goodness and open heart in others, beneath all their defenses, rationalizations, and pretenses. Unconditional love is not a sentiment, but a willingness to be open. It is not a love of personality, but the love of being, grounded in the recognition of the unconditional goodness of the human heart. Similarly, letting myself have my whole range of response and feeling towards my clients allows me to be more present with them. The more maitri I have for myself, by letting myself be, the more I can be with others and let them be themselves. This of course holds true for all relationships. For instance, it is only when we can let our fear be, and hold it in a friendly space, that we can be present with our loved ones in their fear. We only react to others with blame and rejection when their experience mirrors or provokes some feeling in ourselves that we cannot relate to in a friendly way. In this way, developing loving-kindness toward the whole range of our own experience naturally allows us to have loving-kindness toward others. The health of living organisms is maintained through the free-flowing circulation of energy. We see this in the endless cycles and flow of water, the cradle of life, which purifies itself through circulating, rising from the oceans, falling on the mountains, and rushing in clear streams back to the sea. Similarly, the circulation of blood in the body brings new life in the form of oxygen to the cells, while allowing the removal of toxins from the body. Any interference with circulation is the beginning of disease. Similarly, when loving-kindness does not circulate throughout our system, blockages and armoring build up and we get sick, psychologically or physically. If we fail to recognize the basic goodness contained within all our experiences, self-doubt blooms like algae in water, clogging up the natural flow of self-love that keeps us healthy. If we can extend unconditional friendliness toward our own or another’s whole range of experience and being, this begins to penetrate the clouds of self-judgment, so that our life energy can circulate freely again. This understanding allowed me to approach psychotherapy in a new way. I found that if I could connect with the basic goodness in those I worked with—the underlying, often hidden longing and will to be who they are and meet life fully—not just as an ideal or as positive thinking, but as a living reality, then I could start to forge an alliance with the essential core of health within them. I could help them meet and go through whatever they were experiencing—as frightening or horrifying as it might seem—just as I myself had done on the meditative cushion. Orienting myself toward the basic goodness hidden beneath their conflicts and struggles, I could contact the deeper aliveness circulating within them and between the two of us in the present moment. This made possible a heart-connection that promoted real change. Just as muddy water contains clear water within it when the dirt settles out, all our negative tendencies reveal a spark of basic goodness and intelligence at their core, which is usually obscured by our habitual tendencies. The poignant truth about human suffering is that all our neurotic, self-destructive patterns are twisted forms of basic goodness, which lies hidden within them. For example, a little girl with an alcoholic father sees his unhappiness, and wants to make him happy so that she could experience unconditional love—the love of being— flowing between them. Unfortunately, out of her desire to please him, she also winds up bending herself out of shape, disregarding her own needs and blaming herself for failing to make him happy. As a result, she ends up with a harsh inner critic and repeatedly reenacts a neurotic victim role with the men in her life. Although her fixation on trying to please is misguided, it originally arose out of a spark of generosity and caring for her father. Just as muddy water contains clear water within it when the dirt settles out, all our negative tendencies reveal a spark of basic goodness and intelligence at their core, which is usually obscured by our habitual tendencies. Within our anger, for instance, there may be an arrow-like straightforwardness that can be a real gift when communicated without attack or blame. Our passivity may contain a capacity for acceptance and letting things be. Our self-hatred often contains a desire to destroy those elements of our personality that oppress us and prevent us from being fully ourselves. Since every negative or self-defeating behavior is but a distorted form of our larger intelligence, we don’t have to struggle against this dirt that muddies the water of our being. With this understanding, work with our psychological blockages becomes like Aikido, the martial art that involves flowing with the attack, rather than against it. By recognizing the deeper, positive urge hidden within our ego strategies, we no longer have to treat them as an enemy. After all, the strategies of the ego are all ways of trying to be. They were the best we could do as a child and they’re not all that bad, considering that they were dreamed up by the mind of a child. Realizing that we did the best we could under the circumstances, and seeing ego as an imitation of the real thing—an attempt to be ourselves in a world that did not recognize, welcome or support our being—helps us have more understanding and compassion for ourselves. Our ego itself is testimony to the force of love. It developed as a way to keep going in the face of perceived threats to our existence, primarily lack of love. In the places where love was missing, we built ego defenses. So every time we enact one of our defensive behaviors, we are also implicitly paying homage to love as the most important thing. As a therapist, meditation was my Aikido teacher. As I sat on the meditation cushion with a whole range of “pathological” mind-states passing through my awareness, I began to see depression, paranoia, obsession and addiction as nothing more than the changing weather of the mind. These mind-states did not belong to me in particular or mean anything about who I was. Recognizing this helped me relax with the whole spectrum of my experience and meet it more inquisitively. This helped me relax with my clients’ mind-states as well. In working with someone’s terror, I could honor it as the intense experience it was, without letting it unsettle me. I also took it as an opportunity to meet and work with my own fear once again. Or if I was helping someone explore an empty, lonely place inside, this gave me a chance to check in with that part of myself as well. Realizing that I shared one awareness with the people I worked with allowed me to keep my heart open instead of retreating into a position of clinical distance. It became clear that there was only one mind, though it may appear in many guises. While this might sound strange and mystical, I mean it in a very practical sense: The client’s awareness and mine are two ends of one continuum when we are working together. 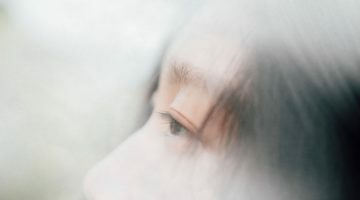 Fear is essentially fear, self-doubt is self-doubt, blocked desire is blocked desire—though these may take on a variety of forms and meanings for different individuals. Realizing that I shared one awareness with the people I worked with allowed me to keep my heart open instead of retreating into a position of clinical distance. Whenever two people meet and connect, they share the same presence of awareness, and there is no way to divide it neatly into “your awareness” and “my awareness.” This basic fact—that other people’s experience resonates in and through us, whether we like it or not—is why other people can grate on our nerves and “drive us crazy.” Yet this “interbeing” is also what allows us to feel genuine empathy for what someone else is going through. Before we can truly embody this vast space of empathy and compassion for others, where we can totally let them be who they are, we must first be on friendly terms with our own raw and tender feelings. 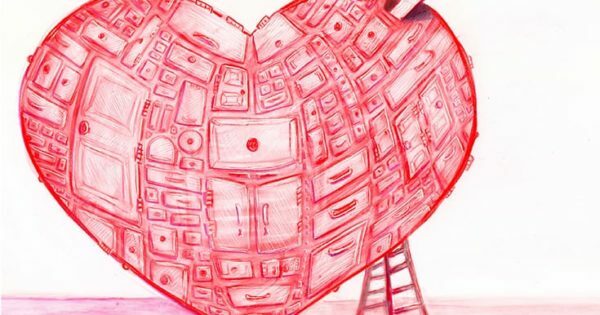 For many of us this may be the hardest path of all—opening our hearts to ourselves.